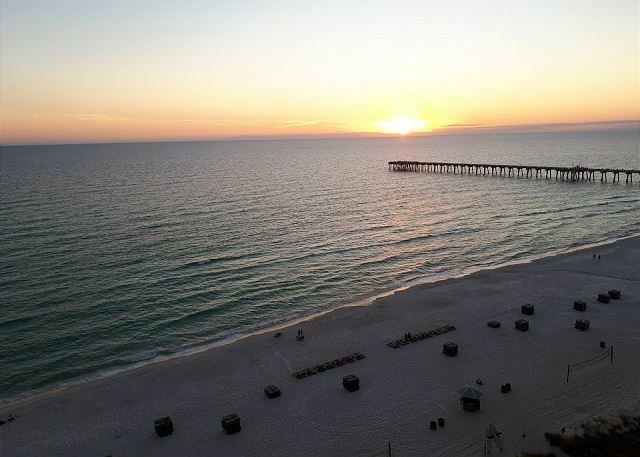 Welcome to 1204 East, Calypso Towers on Panama City Beach! We are new Owners of Unit 1204 East at Calypso! 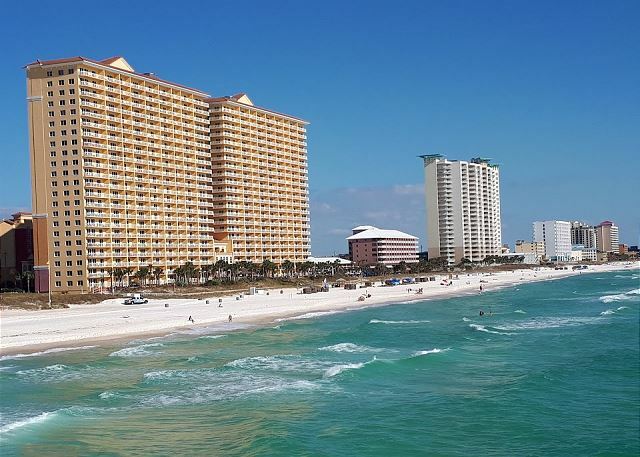 Welcome to our completely renovated, upscale, professionally decorated, beach themed, 3 bedroom/2 bath 12th floor condo! Our unit has Free beach chair/umbrella service daily from March 15th to October 31st. 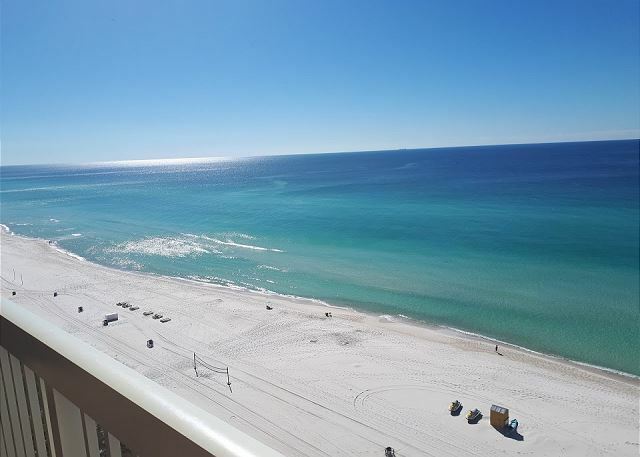 Calypso is a beautiful gulf front property with stunning sugary soft, white sandy beaches and emerald green coastal waters. Pier Park is across the street from our complex, and has all the amenities you will ever need – shopping, restaurants, bars and entertainment. Just leave your vehicle in the covered parking! 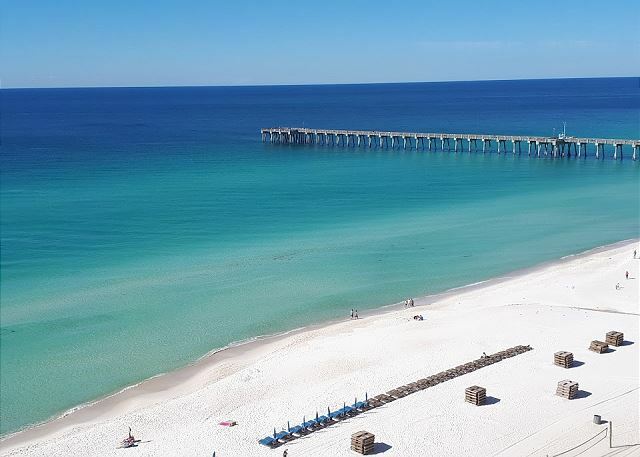 It is only 14 miles from the new Beaches Airport, has two huge seasonally heated swimming pools, exercise room, beach volley ball, tiki-hut bar, access to an onsite full service seasonal beach vendor that offers banana boat rides, jet skis, parasailing, paddle boats, and the list goes on. Nearby golf courses, charter boat marinas, waterslides, and numerous attractions, will keep the whole family entertained. 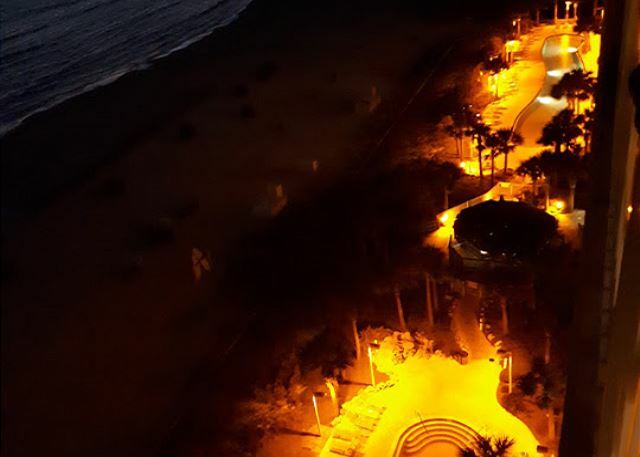 From your large private 12th floor balcony, you can enjoy spectacular views of the ocean, dolphins, the fishing pier, and the most beautiful sunsets you will ever experience! Our unit sleeps 8 people comfortably – King in master, King in Guest room, Queen in guest bunk room and Queen sleeper sofa in living room. - Free beach service including two padded loungers and umbrella set up daily on the beach. (Seasonal from March 15th - Oct 31st and weather permitting). Just check in once, and the beach set up is ready for you all week – just bring your own beach towels! No standing in line every day to rent!